Resistance to HER2-targeted therapies remains a major obstacle in the treatment of HER2-overexpressing breast cancer. 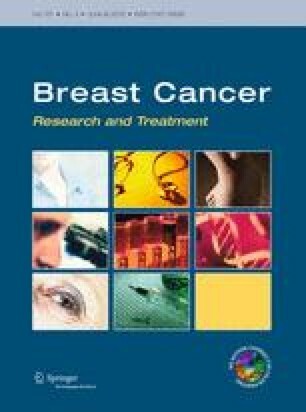 CD44, a putative breast cancer stem cell (CSC) marker, is overexpressed in trastuzumab-resistant breast cancer cells. While CSC-related genes may play a role in the development of trastuzumab resistance, conflicting results have been published about CSC response to trastuzumab. We hypothesized that CD44 contributes to trastuzumab resistance independently of its role as a CSC marker. We used trastuzumab-sensitive breast cancer cell lines and their trastuzumab-resistant isogenic counterparts to evaluate the role of CD44 in response to trastuzumab. miRNA and mRNA expression were analyzed using microarray chips. A gene set enrichment analysis was created and matched with response to trastuzumab in cells and patient samples. The proportions of CSC in trastuzumab-resistant cells were similar to or lower than in the trastuzumab-sensitive cells. However, CD44 expression levels were significantly higher in both trastuzumab-resistant cell lines and its knockdown led to an increased response to trastuzumab. The invasiveness and anchorage-independent growth of trastuzumab-resistant cells were higher and blocked by downregulation of CD44. Results also showed that CD44-related resistance to trastuzumab is regulated by miRNAs. We identified a CD44-related gene expression profile that correlated with response to trastuzumab in cell lines and breast cancer patients. CD44 mediates trastuzumab resistance in HER2-positive breast cancer cells independently of its role as a CSC marker and that this role of CD44 is partly regulated by miRNA. The online version of this article (doi: 10.1007/s10549-015-3414-3) contains supplementary material, which is available to authorized users. This research was supported by the Breast Cancer Research Foundation (FJE). The University of Texas MD Anderson Cancer Center is supported in part by a Cancer Center Support Grant (CA016672) from the National Institutes of Health. The authors thank Xiaoping Su from Bioinformatics and Computational Biology for data analyses and Arthur Gelmis from the Department of Scientific Publications at MD Anderson Cancer Center for editorial assistance. The experiments preformed in this manuscript comply with the current laws of the United States of America.